308km cycling event starting from Easton, Bristol. Controls at Brockworth, Titterstone Clee trig and Hoarwithy, plus 2 information controls. A fast ride with a handful of hills; one being Titterstone Clee, its trig point and radar stations. I clearly remember my first calendar 200 in 2014. I came around a corner and there was Titterstone Clee Hill. The next day I had a route! 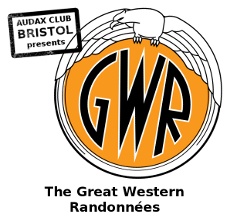 Then in January 2015 I dragged some Audax Club Bristol members, and soon to be, up to the top; there was snow! =========================================================== Now to try it in the summer. A flowing route with a few #wills_hills. Head up onto The Cotswolds and loop round to Birdlip for a wonderful descent to the outskirts of Gloucester. Over The Severn making your way to Tenbury Wells with views of Titterstone Clee in the distance. Cross The Teme and begin the climb, a false summit as you get to the main road then climb again for the actual summit. All the way to the top passing old quarries, their workings and air traffic control radar domes; 10m of grass and you are at the trig point for an amazing view. Then back down, flowing through Leominster and on to the Wye Valley. 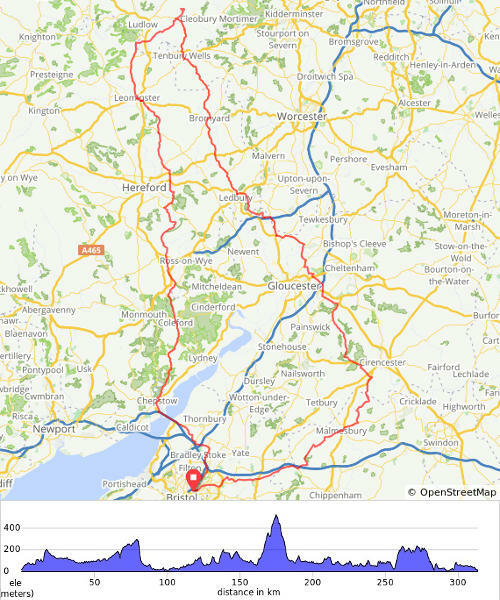 Another cracker of a climb at Symonds Yat then roll to Chepstow, back across the bridge and into Bristol for the Arrivee.